As a photographer, one of the biggest components of nailing your shot is ensuring you have the correct shutter speed. This aspect of the exposure triangle is perhaps the most critical component of an image. Where ISO or aperture may influence the brightness or artistic nature of a photograph, a mistake when choosing a shutter speed can render an image completely useless. By managing shutter speed carefully, a photographer can create art, capture a fleeting moment, or simply depict a more accurate vision of the scene before them. There is a direct correlation between the sharpness of an image, and the shutter speed. To have an image with intentional blur (caused by a slower shutter speed), a photographer conveys motion. By speeding up the shutter, a photographer can capture an image that they may not even be capable of seeing with the naked eye. The opportunities for creativity are limitless, so let’s take a look at how to utilize the shutter speed to make the most of your images. 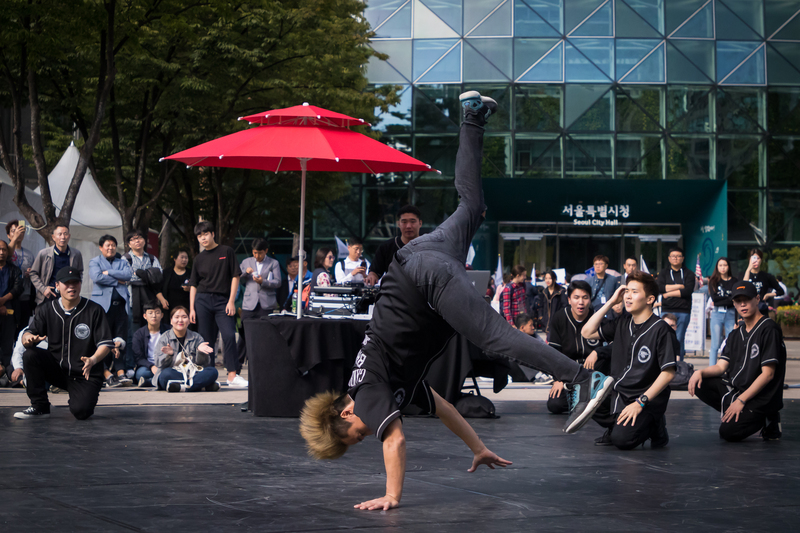 Chris Gheen -While travelling recently in Korea, I stumbled upon this group of break dancers performing in a park. By carefully monitoring my shutter speed, I was able to freeze the dancers in mid air, seeming to defy gravity with their moves. This shot was taken at 38mm, ISO 1250, f/4.0, and a shutter speed of 1/1600. The shutter is the part of the camera that blocks or prevents the camera sensor or film from being exposed to light and capturing an image. 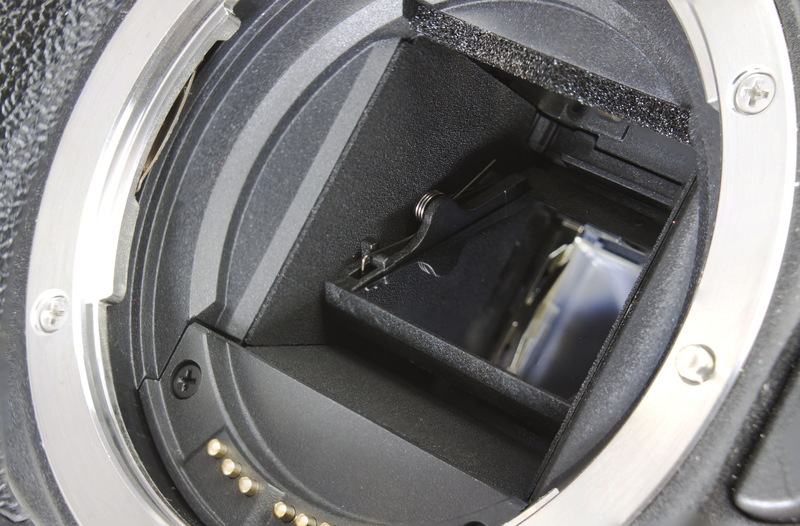 The majority of digital cameras will have either an electronic or mechanical shutter, and some may have both. When the shutter is closed, the camera is incapable of capturing an image, as the sensor will be completely blocked from all light and unable to produce an image. While the shutter is open, the camera’s sensor (if shooting digital) will begin processing light on a photosensitive electronic processor, converting light rays into data points. These data points are what will eventually become your image. When taking a photo, pressing your camera’s shutter button will cause the shutter to open, and will expose the sensor to light for a set length of time. That time measurement is known as the shutter speed. The longer the sensor is exposed to light, the more light is picked up and the brighter an image becomes, ultimately leading to an all white light scene as the processor is overwhelmed with data. As discussed in my post on shooting modes from a few weeks ago, you can select certain settings where the camera will make the decision regarding an appropriate shutter speed. When shooting in “Manual” however, it is the photographer’s job to adjust the shutter speed as lighting changes to ensure the data captured by the sensor is balanced enough to ensure a quality exposure. Shutter speed is displayed in camera typically as either a whole number or a fraction with 1 as the numerator (the number on top). 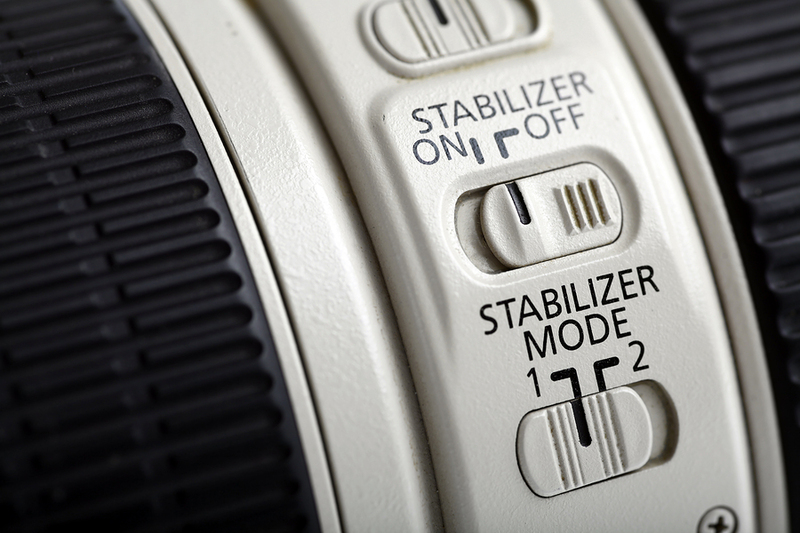 Examples of shutter speed indications on your camera would look like 250, 1000 or 1/30, 1/100. Once shutter speeds dip below about a half second, cameras will typically add a quotation mark to differentiate between full second and fraction of a second exposures, 2”, 0.5” or 10”. See my recent blog post titled Welcome to Photography if you’d like more clarification on what to look for in your camera to find your shutter speed. 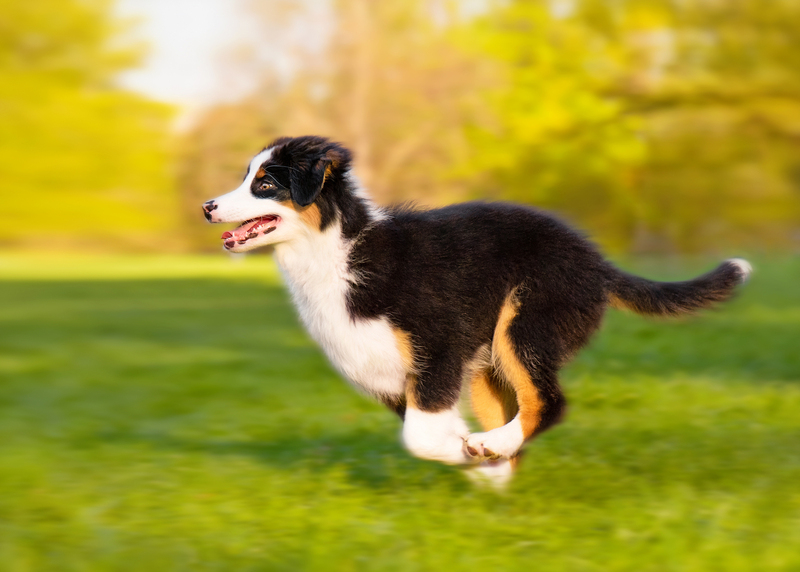 By blurring the dog’s legs, but capturing the body and eye sharply, the photographer is able to convey the motion of the dog running. There’s a wide array of benefits that come from manipulating your shutter speed to produce an image. The longer your shutter is open (referred to as a slower shutter speed) results in brighter images, and the ability to convey motion through the use of blur. Opening the shutter for a shorter length of time (faster shutter speeds) results in less light hitting the sensor, but also allow the photographer to freeze motion in the image, and can result in a more crisp image if all other variables are equal. Wildlife photographers are often having to walk the line between fast shutter speeds and dark imagery due to the need to freeze a bird or animal in the frame. By shooting at higher shutter speeds, the photographer will need to utilize other aspects of the exposure triangle to brighten an image while compensating for the darkness caused by a fast shutter speed. So you may be asking yourself, “Self, all this talk about varying light and shutter speeds sounds well and good, but what do I do with all that information?” Well, that’s a great question. There’s a ton of ways to manipulate light and motion within your frame by adjusting your shutter speed to produce a variety of image styles. As a photographer, or even just as someone who appreciates photography, you may have seen photos like this one, depicting a blurred stream or water feature, while other parts of an image stay sharp. This effect is achieved by placing the camera on a tripod and reducing your shutter speed to at least ⅛ of a second or slower. I typically shoot for ½ second to 2 second exposures, based on how soft or blurry I want my water to be. 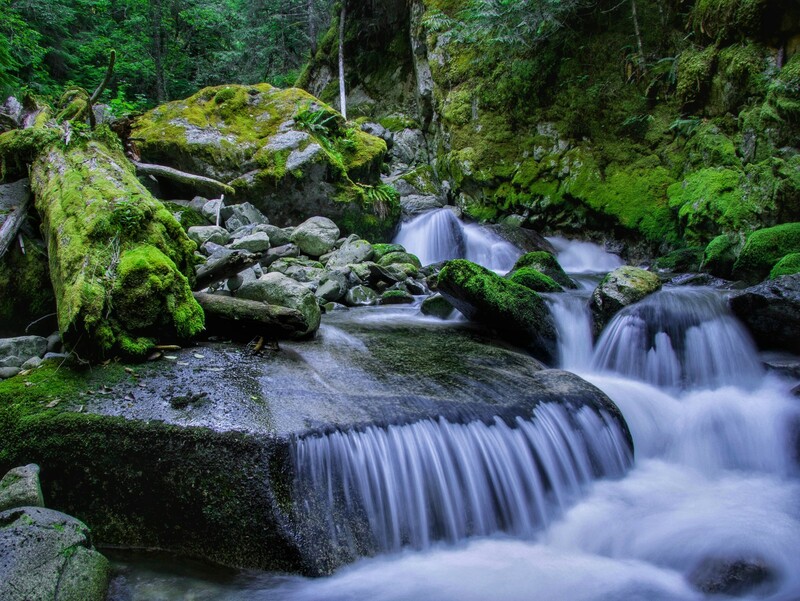 Chris Gheen -This British Columbia stream was shot on a tripod at 17mm, ISO 400, f/9.0 and 1 second shutter speed to paint an artistic blur as the water pours over the rock while keeping the rocks and logs sharp. Faster shutter speeds will result in less blur, while longer shutter speeds can result in a softer, almost ghost-like appearance from the water. The resulting water blur has become iconic in shooting intimate nature scenes and depicting the natural movement of a waterfall in a single image. This is also a great tactic when shooting ocean scenes, to give a fog like effect along the shore from waves coming and going. To accomplish this, however, shutter speeds closer to 5-10 seconds may be necessary. One of my favorite ways to play with long shutter speeds is with astrophotography. By switching your camera to “bulb” mode, you can use a remote shutter to keep your camera’s shutter open as long as you’d like, well beyond the pre-programmed 30 second limit on most cameras. Chris Gheen -This star trail image was shot in southern Utah at 17mm, 200 ISO, f/11 and a 37 minute exposure to capture the star movement and cars along the highway. This photo was achieved using bulb mode, a low ISO and high aperture to limit light sensitivity while I kept my shutter open for about 37 minutes as the stars streaked across the sky and cars drove along the highway below. This is an effective way to reduce noise in your star trail images and not have to photo stack images to get the star trail appearance so common in a lot of low light images. Stay tuned for a dedicated post on astrophotography where I’ll discuss the specifics of shooting at night, including capturing the milky way, star trails and light painting. Where a slow shutter speed can be used to create a more intimate, artistic scene, high shutter speeds can be utilized for freezing action in a way that may not be able to be seen without the use of a camera. Things like a bird diving into a river, a bison running from a predator, or a fish jumping out of the water can all be frozen in an often impressive manner that creates a bolder impact. Fast moving subjects need to be shot at very high shutter speeds to ensure a sharp, well frozen image. Chris Gheen -This Bald Eagle was captured at a whopping 1/4000 second shutter speed to ensure the sharpness of even the longest feathers. 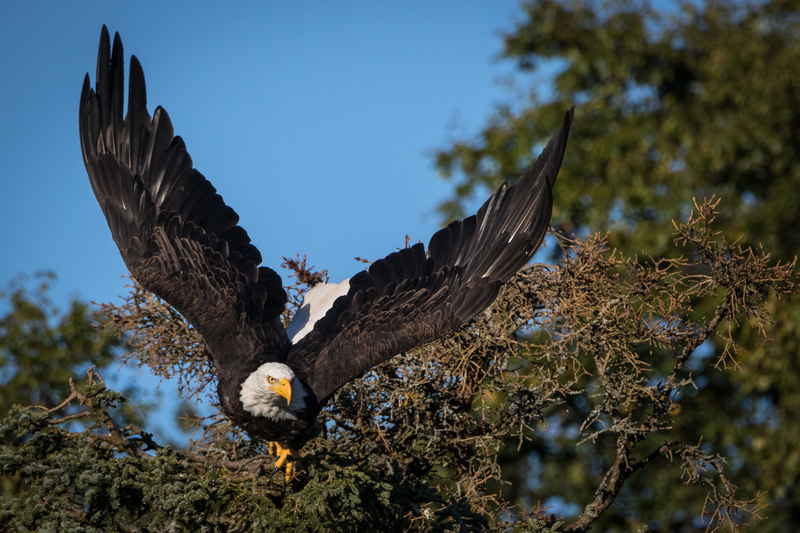 When shooting birds of prey, I like to ramp up my shutter speed to over 1/2000, and if the light affords me the luxury, sometimes as high as 1/4000, as seen in this photo of a bald eagle from our Brown Bears of Katmai trip. While most fast moving animals don’t need to be shot at 1/4000, birds of prey have extremely long wingspans, resulting in incredibly fast moving feathers at the wing tips. Where smaller songbirds can often be shot at around 1/1000, the fast moving outer feathers of a larger winged bird can often come out blurry even at shutter speeds as high as 1/1500. By shooting at 1/2500 or 1/3000, you can often ensure that each individual feather will be suspended in air in a crisp display of the raw power of the bird. If you are not shooting on a tripod, you’ll need to decide what’s more important, between higher detail from a low ISO (and therefore lower shutter speed) and thus higher potential for camera shake/blur, and less shake from higher shutter speeds, combated by higher ISO or wider aperture. Typically, in order to keep your exposure the same, moving ISO up means moving shutter speed up. It’s part of the Exposure Triangle that Kenton touched on in his blog post from early November. Therefore, the key is to find the balance between higher shutter speeds and the best detail possible. The hand holding rule really only applies when your camera’s image stabilization is off, but can also help to ensure stable results in a wide variety of shooting conditions. Another concept to understand is that at certain focal lengths (zoom for the new folks) the camera shake from shooting handheld is exaggerated. The more zoomed in you get, the more pronounced the camera shake can be, and thus blur your images when shooting hand held. To combat this, a good rule of thumb is what is known as the hand holding rule. When shooting hand held, try to keep your shutter speed higher than your focal length (as measured by the 35mm standard). For example, if shooting a full frame camera at 100mm, ensure your shutter speed is over 1/100. If shooting at 250mm, make sure your handheld shutter speed is at least 1/250. You get the idea. Take note that this is the full frame or 35mm sensor equivalent, so be sure to adjust for the crop factor of your camera. If your lens has a built in image stabilization (or vibration reduction for you Nikon folks) this guideline is not as important, but can still be helpful in ensuring the fact that you’re shooting handheld isn’t impacting your shot. The hand holding rule is useful is minimizing blur from camera shake, but will not have an effect on the blur caused by a moving subject. As I often tell guests on our tours, the best thing you can do for your photography is be intentional. If a blur looks intentional it is seen as art. If a blurred subject looks unintentional, it’s a bad photo. It’s up to you, the photographer to use these tools to convey a subject that is intentionally blurred or intentionally sharp. But whatever your choice, make sure it’s done in a way that shows you’ve thought carefully about your image and I’m sure you’ll walk away happy with what you’ve got. Now get out, practice modifying your shutter speed, and see what you can come up with! Happy shooting!